Ledbury Bowling Club was founded in 1927 and is situated near the bottom end of Bank Crescent. From those early days it has now become not only one of the top clubs in Herefordshire but offers bowling to all ages and to players of all abilities. The Club has its own clubhouse in which it holds social events throughout the year. During the season, which is from Mid-April to September, there are more than 40 friendly games played at home or away against teams mainly from around the Three Counties. In these games complete beginners can easily take part whilst learning the game of Bowls and developing their skills. Also internal competitions are held each year in which all can participate. A number of league teams are run and players can enter County and National Competitions as individuals or in pairs, triples or fours. Over the years we have had great success at the various competitions. The photographs below shows one of the Ledbury Triples teams that in 2009 reached the Bowls England Final stages played at Worthing. The team consists of three generations of one family. 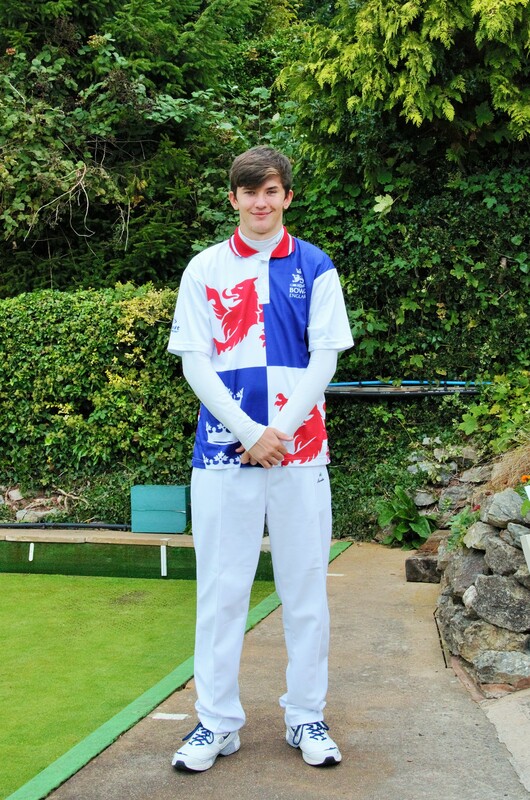 In 2015 our youngest member Tom Holmes won the U18 Sutton Winson National Singles Competition at Leamington Spa and in 2016 he went on to Win the British Isles U18 Singles Title held in Llandrindod Wells. In 2016 our Men's A Team had considerable success winning the County League and all of the Men's County Competitions. 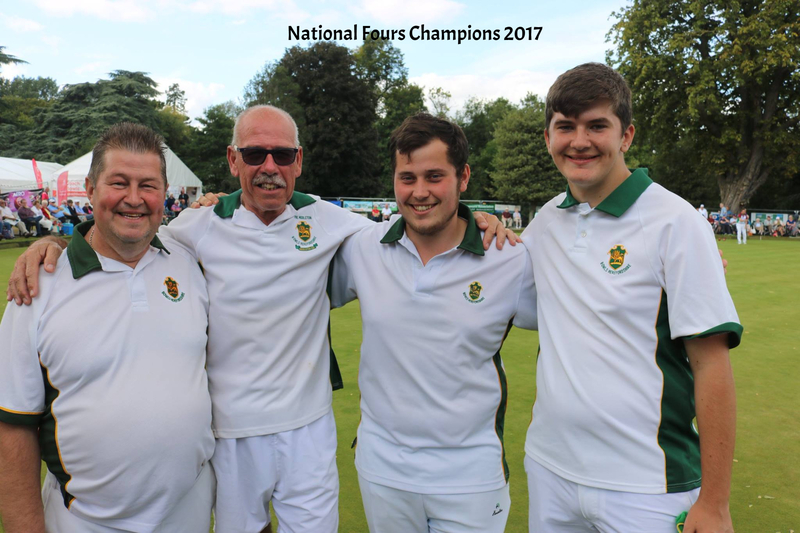 In 2017 we have had great success again (see County Information page) and Four of our members (Phil Middleton, Mark Atkins, Tom Holmes and Ryan Atkins) won the Men's National Fours Competition at Leamington. The Club would like to extend a warm welcome to bowlers of all capabilities. In the beginning novices can borrow a set of bowls so all that is needed is a pair of flat shoes. More seasoned players could soon find out where they best fit in and could soon be participating in County and National events. Any novices or experienced bowlers wishing to find out more can contact us via the contact page.